With its rich, multicultural heritage, Singapore is exceptional as a place where people of diverse ethnic and religious backgrounds live together in harmony. Founded as a British trading colony nearly two hundred years ago, it has attracted immigrants from India, China, Malaysia and Europe, who have brought with them their own faiths and built places of worship where they could practice their beliefs freely. Today, the dominant religions in the country include Buddhism, Islam, Taoism, Hinduism and Christianity, and the country’s historic temples, mosques, and churches offer a unique window into the country’s past and present. 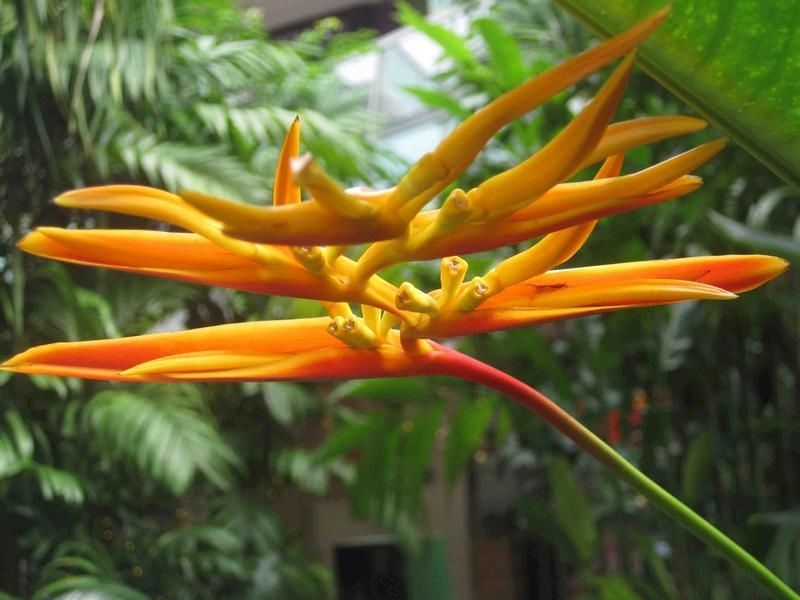 Here are ten such Singapore attractions that are worth seeing while you're here. This grand mosque receives 100,000 visitors a year. Upon entering, tourists will find a display aimed to educate non-Muslims on Islam, Allah and topics associated with Muslim women. The Mosque was built in 1928 using donations from merchants, philanthropists, and the local community. The exterior boasts Mogul Indian architecture, and the impressive main prayer hall accommodates 5,000 worshippers. Narayana Pillai, who accompanied Sir Stamford Raffles on his trip from India to Singapore in 1819, established this Hindu temple. Built in 1827, it is the oldest in Singapore. 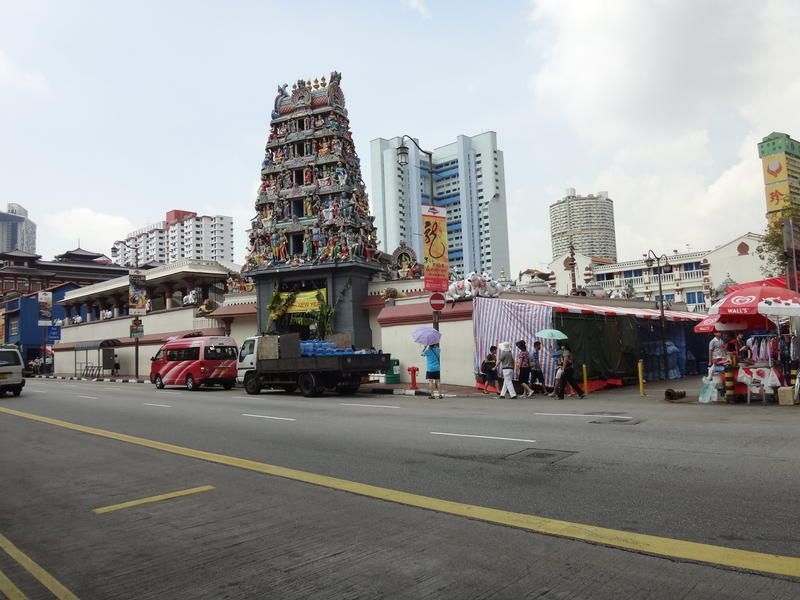 In its early days, Sri Mariamman was an important gathering place for new immigrants as well as the only temple in Singapore where Hindus could marry. The colorful entrance tower dates from the 1930’s. Dedicated to the Goddess of Motherhood, many come here today seeking the deity’s power to heal. This lovely beige and brown mosque was established by a Malay businesswoman from Malacca in 1845. In 1930, the prayer hall was rebuilt by Malay artisans under the leadership of French contractor Bossard Mopin. All women must have their knees and shoulders covered to enter, as there are no shawls or sarongs to borrow at this mosque. This Chinese temple is dedicated to Kuan Yin, the Goddess of Mercy. Built in 1884, it boasts traditional Chinese-style architecture. In 1895, and again in 1982, the prayer hall was expanded to increase capacity. During Chinese New Year it is particularly lively, and remains open all night to accommodate worshippers who shake canisters of fortune sticks and have their fortunes told. Built in 1840 as a congregation point for Hokkien Chinese, this temple became a meeting place for those arriving to and departing from Singapore. Worshippers gave thanks or prayed for smooth passage to the temple’s main deity, the Goddess of the Seas. 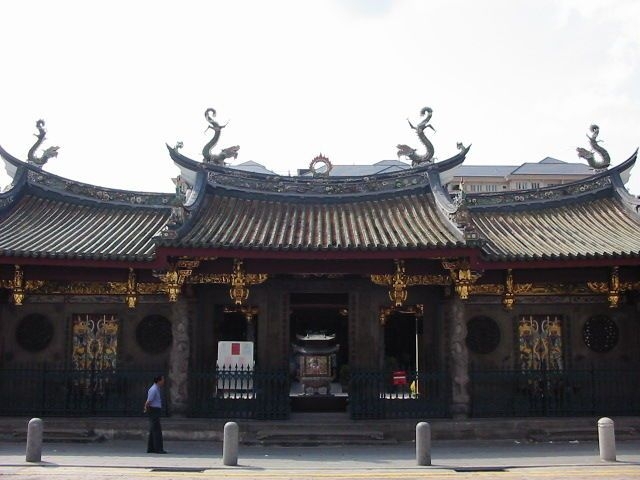 The establishment of a permanent temple was a milestone for the Chinese community, who until this time had assumed they would return to China rather than put down roots in Singapore. Today it attracts worshippers from all Chinese immigrant groups and encompasses elements of Taoism, Buddhism and Confucianism. Constructed in 1859 by Chettiars, a community of traders, merchant-bankers and moneylenders, this is one of the oldest Hindu temples in Singapore. It honours Lord Murugan, son of Hindu God, Shiva. The Temple is probably best known as the ending site for Singapore’s Thaipusam Festival, when thousands of devotees pierce their bodies and carry kavadis – burdens – on a four and a half kilometre journey from the Sri Srinivasa Perumal Temple. The original temple was built on this site in 1855 and dedicated to the Goddess Kaliamman, an incarnation of the wife of Hindu God, Shiva. Tamil labourers, who worked in the local lime groves, constructed the temple, and as such, it was originally named, “Temple of the village of Lime.” In 1908, workers expanded the structure to include the main temple and shrine. When World War II broke out, worshippers took refuge here, believing that the goddess would protect them. The Temple made it through the War unscathed. 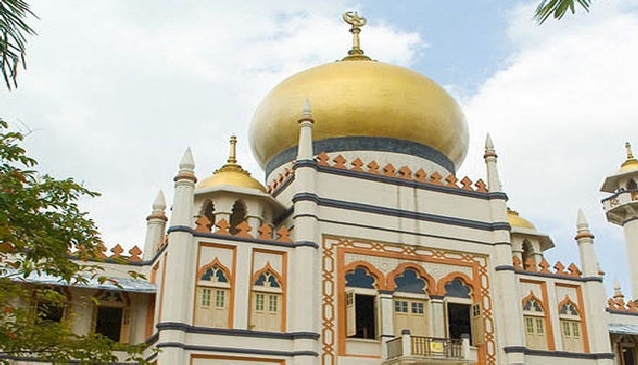 Located in Singapore's Little India neighbourhood, this mosque originally catered to Indian migrant workers. Shaik Abdul Gaffor, a lawyer's clerk, established the current structure in 1910 after he decided the original building needed replacing. Opening Hours: Daily from 9.30am to 12.30pm, 2.30 to 5pm and 6 to 7pm. Built in 1835, this is the oldest Christian church in Singapore. Designed by George D. Coleman, this neoclassical structure was funded by donations from Armenians in Singapore, Kolkata and Java, as well as local Chinese and European communities. The church is surrounded by a lovely garden with a small area reserved for tombstones of Armenians who died in Singapore. The neighbouring parsonage house was completed in 1905 and today serves as the church’s administrative offices. This English Gothic Style Cathedral was built between 1856 and 1864 using Indian convict labour and was designed by Col. Ronald MacPherson. The Cathedral replaced the original one on this site, which was twice struck by lightning and closed in 1852 for safety reasons. When visiting places of worship, make sure you know about the traditions of each religion and honour the rules that apply. To help guide you through the do’s and don’ts, we have put together a few tips to ensure you are always welcome wherever you go. - Many but not all mosques have a sarong or shawl to loan to women should they need it. If you want to take pictures, it is always best to ask first or look carefully for “no photography” signs. In general, photography is allowed in churches and Hindu temples, as well as mosques and Chinese temples, except in the main prayer halls. Some Hindu temples charge a small fee to take photos. For Thaipussam, a major Hindu festival, check out our video and photos. 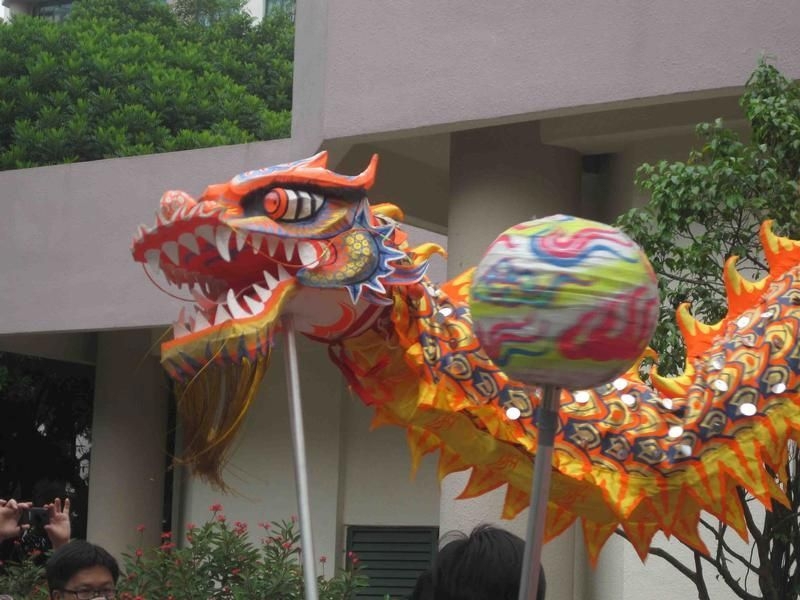 Also read our region pages about Little India, Kampong Glam and China Town.